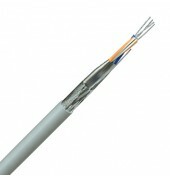 High performance cables for use over a long distance at high data rates for RS232 and RS422 applications. Also suitable to industrial measurement applications where low signal distortion is needed. Able to carry signal over extended distances with a minimum distortion due to excellent dual screening. Low Smoke Zero Halogen versions are also available. Material for the insulation and sheath can be replace by those that do not emit halogens and toxic smoke. 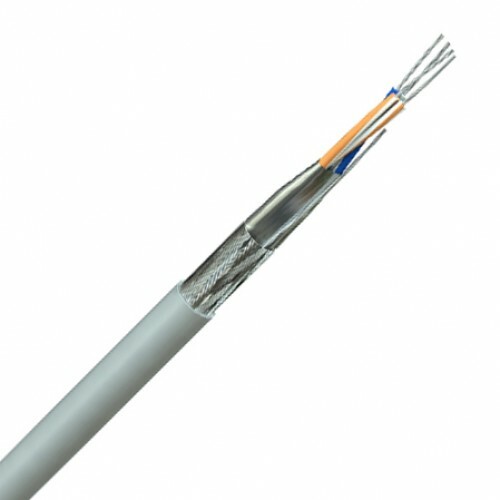 Tinned copper conductor 24(7) AWG (0,22mm2), polyethylene insulation, Twisted into pairs, overall aluminium/polyester foil screen, tinned copper drain wire (24AWG), overall tinned copper braid (65%). PVC sheath.